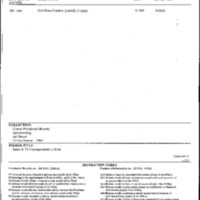 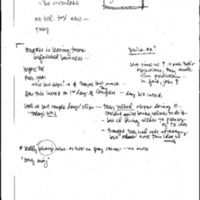 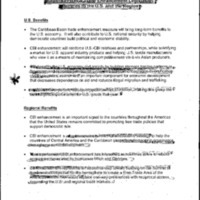 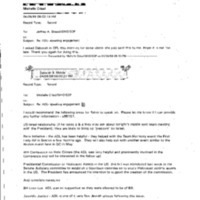 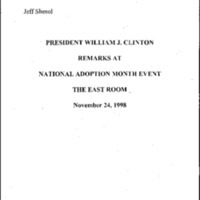 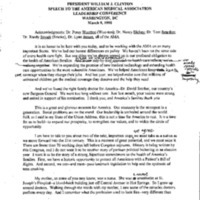 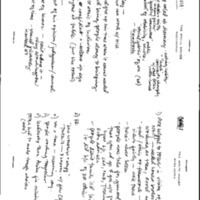 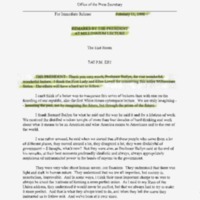 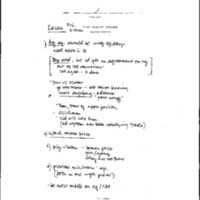 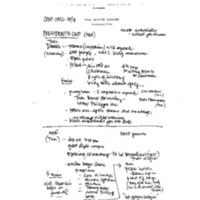 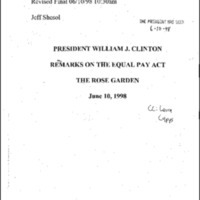 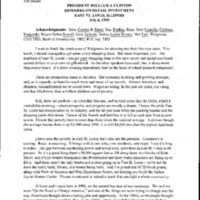 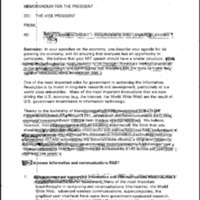 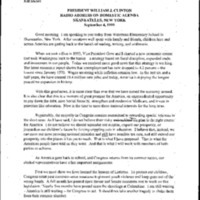 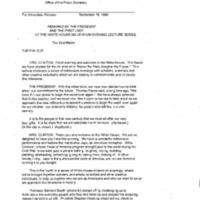 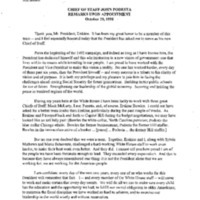 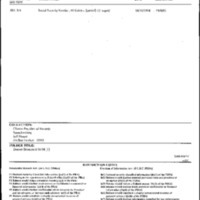 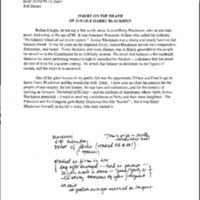 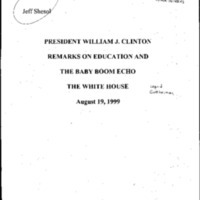 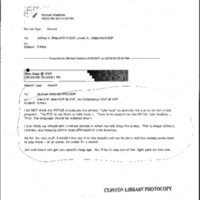 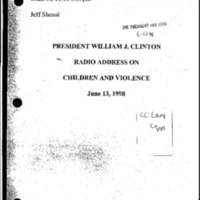 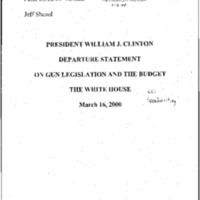 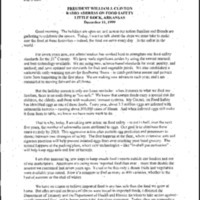 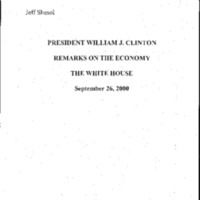 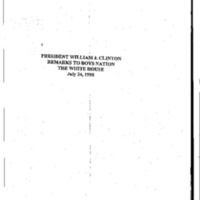 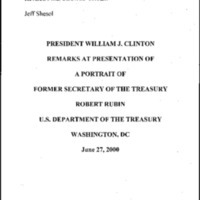 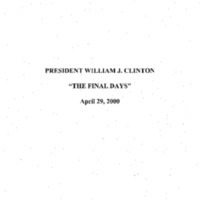 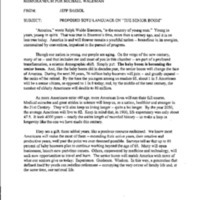 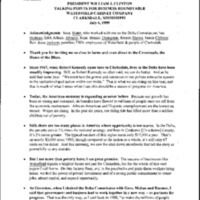 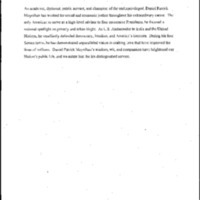 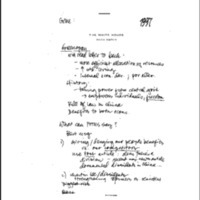 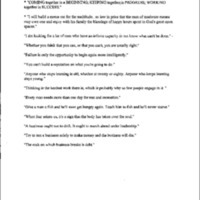 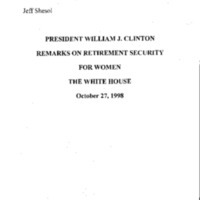 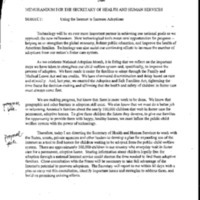 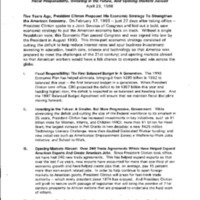 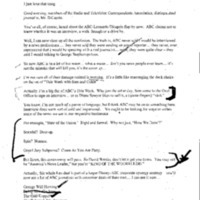 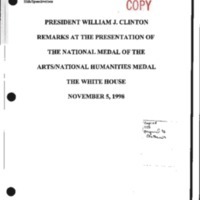 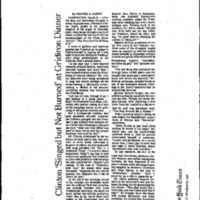 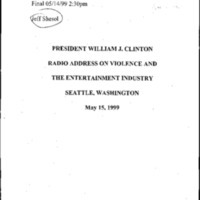 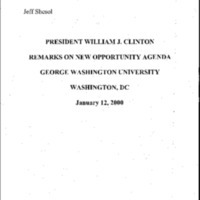 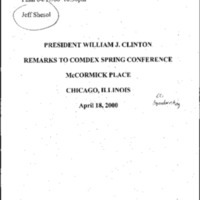 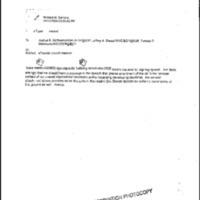 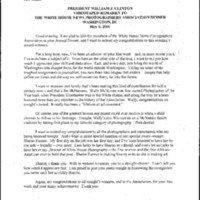 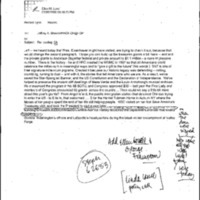 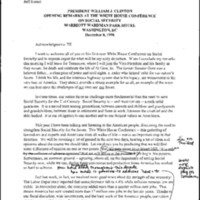 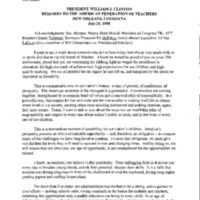 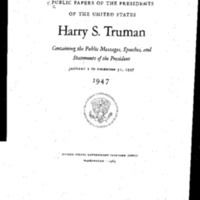 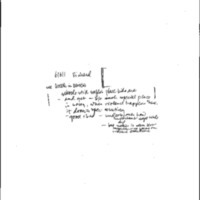 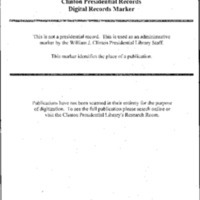 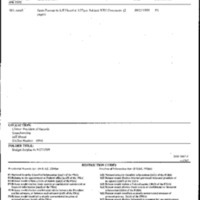 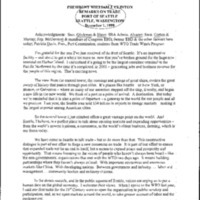 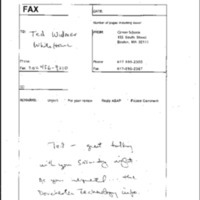 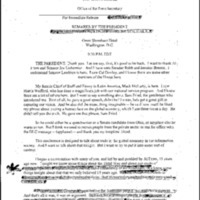 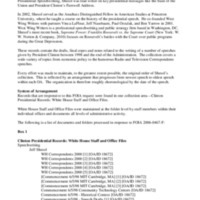 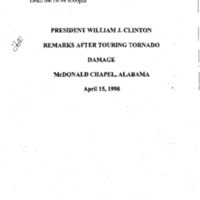 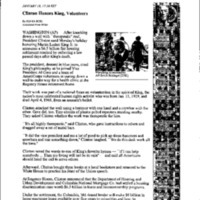 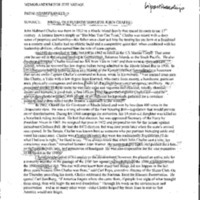 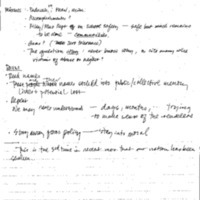 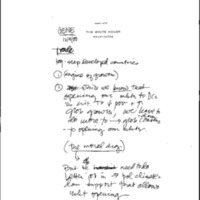 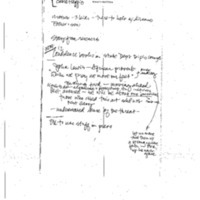 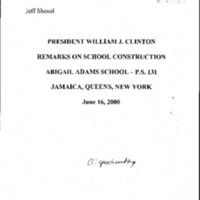 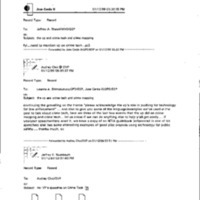 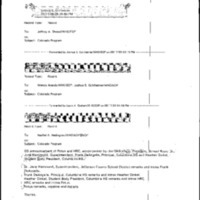 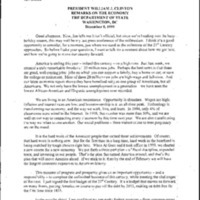 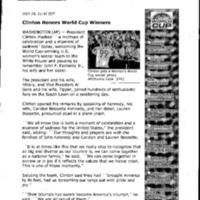 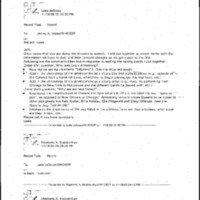 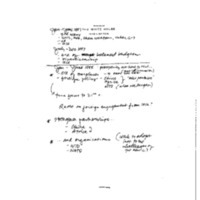 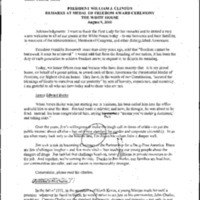 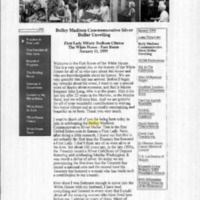 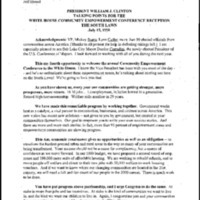 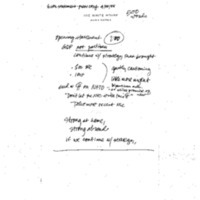 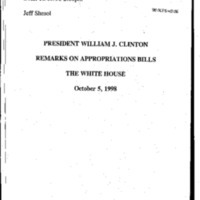 Talking points and speech preparation for First Lady Hillary Rodham Clinton from the staff and office files of Jeff Shesol. 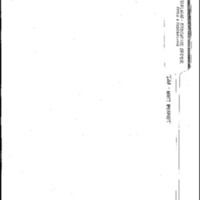 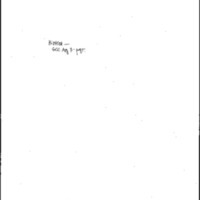 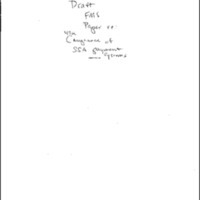 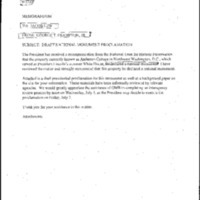 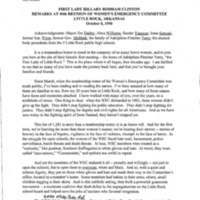 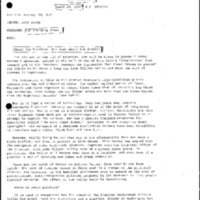 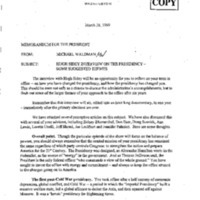 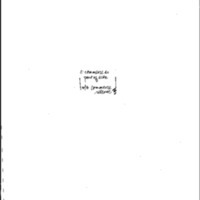 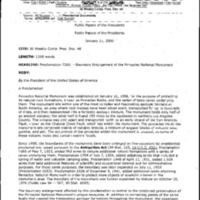 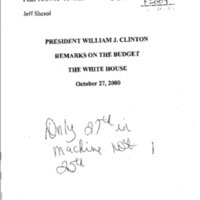 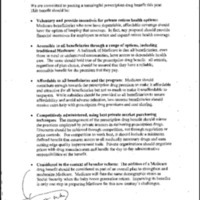 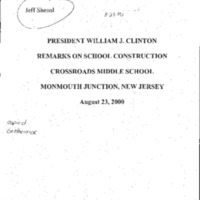 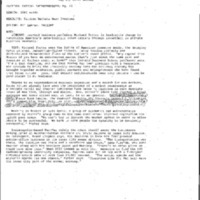 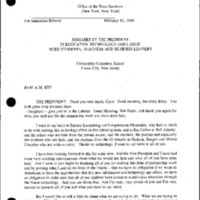 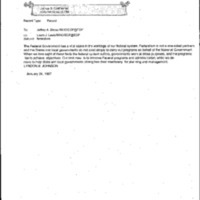 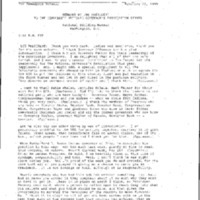 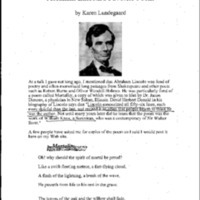 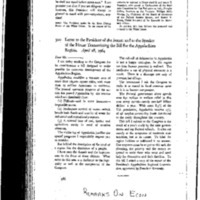 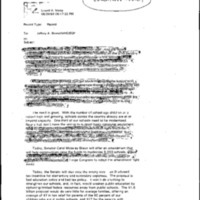 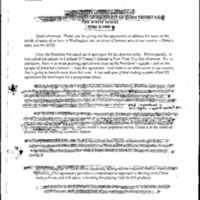 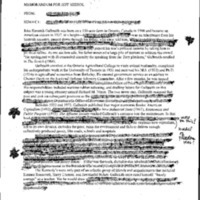 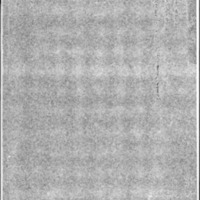 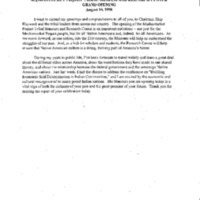 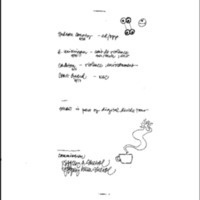 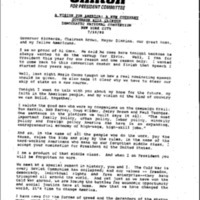 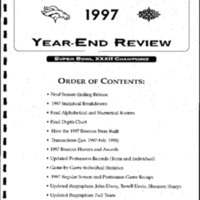 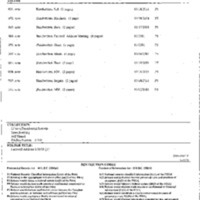 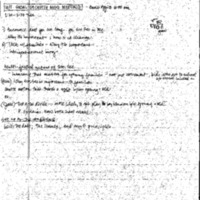 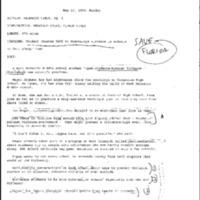 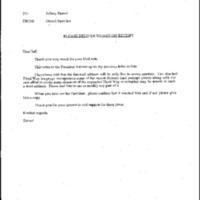 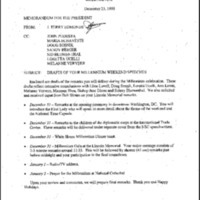 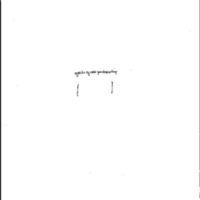 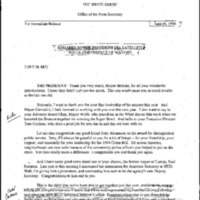 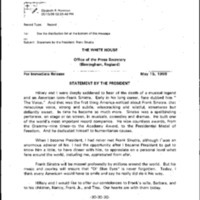 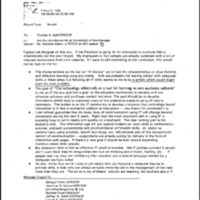 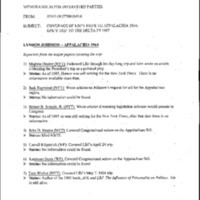 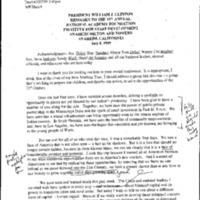 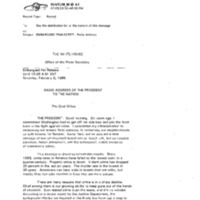 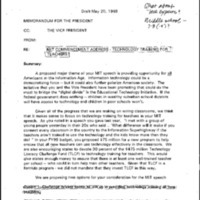 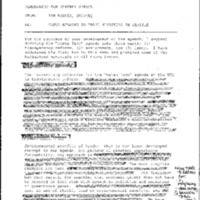 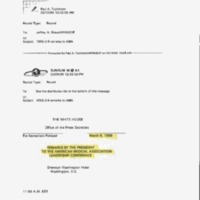 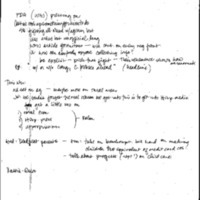 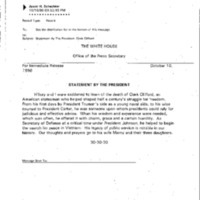 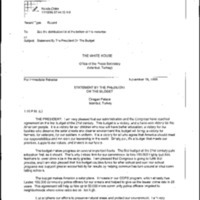 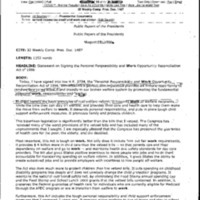 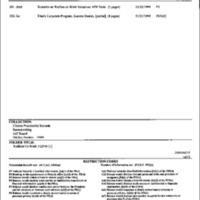 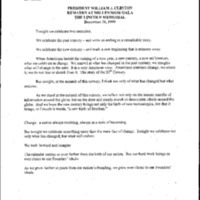 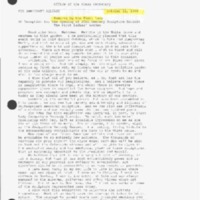 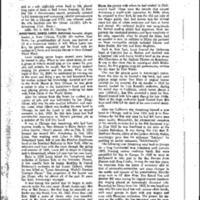 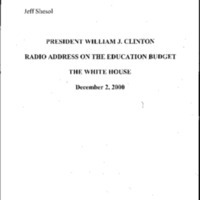 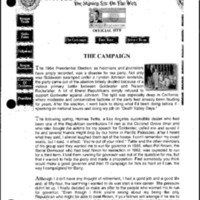 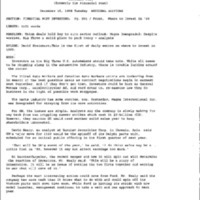 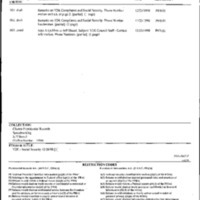 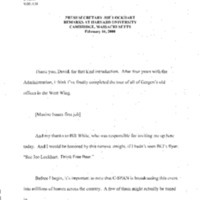 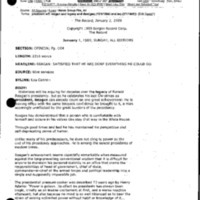 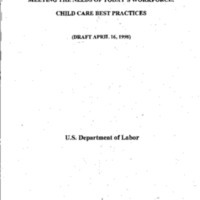 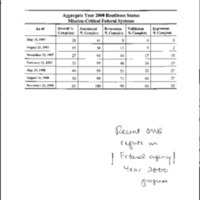 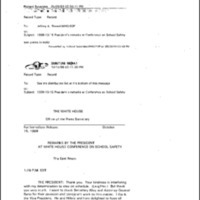 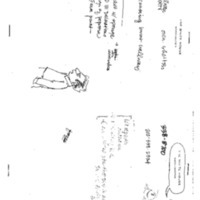 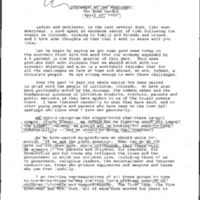 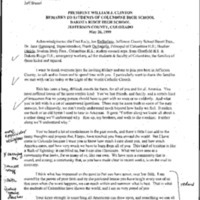 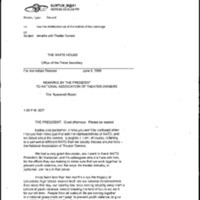 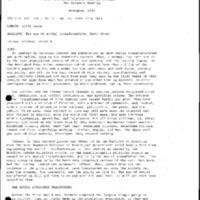 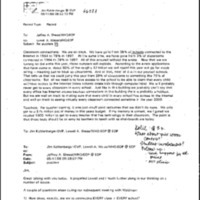 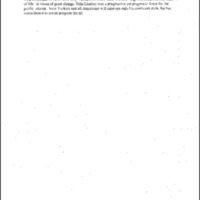 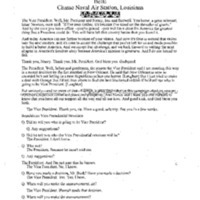 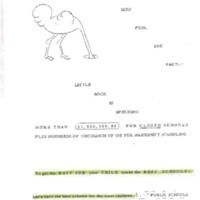 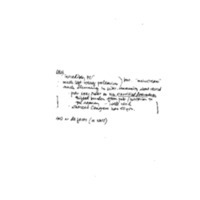 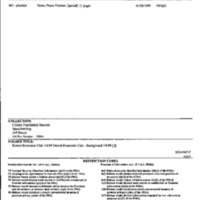 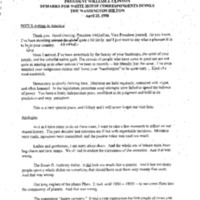 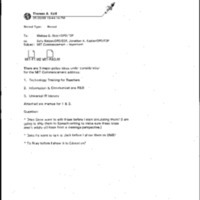 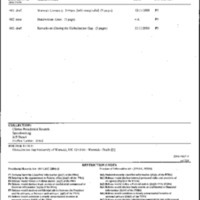 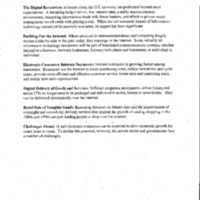 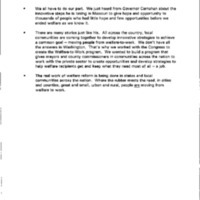 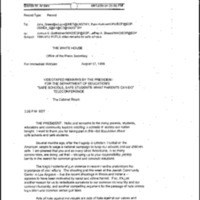 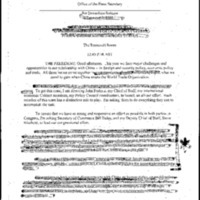 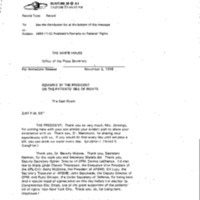 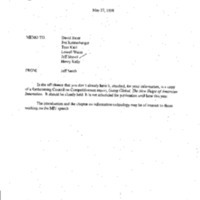 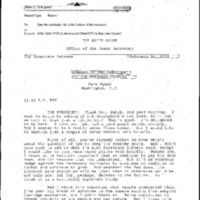 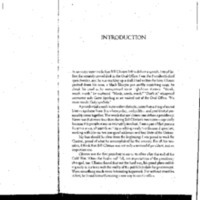 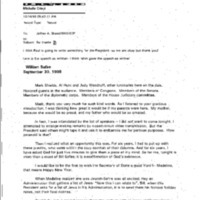 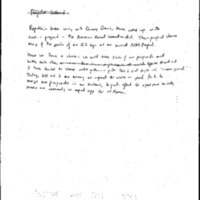 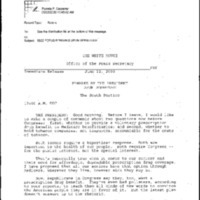 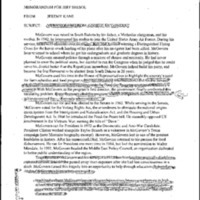 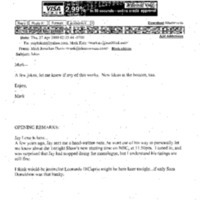 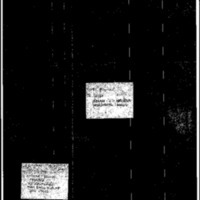 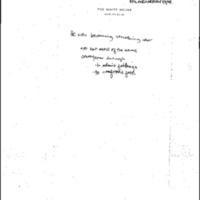 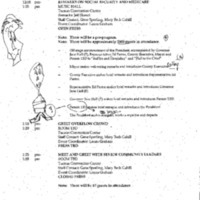 Speech preparation from Jeff Shesol's staff and office files. 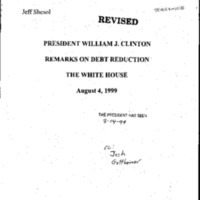 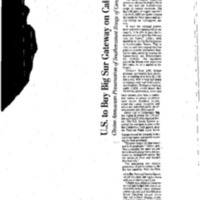 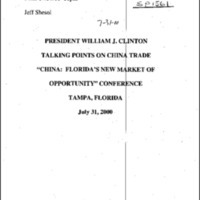 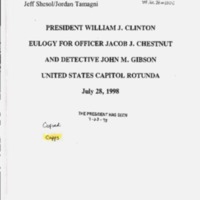 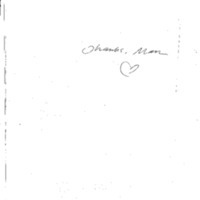 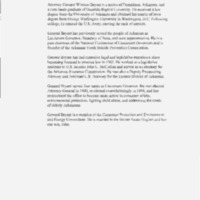 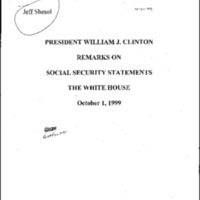 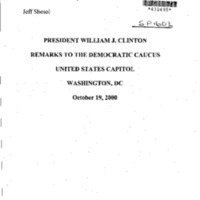 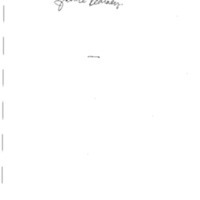 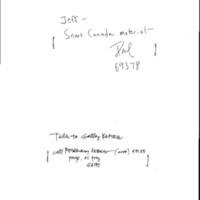 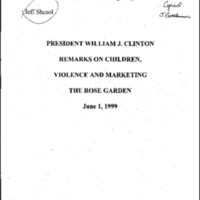 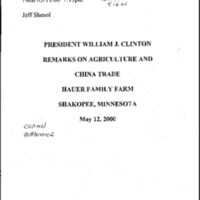 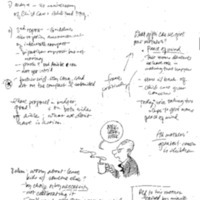 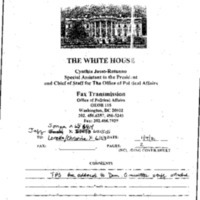 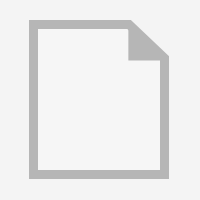 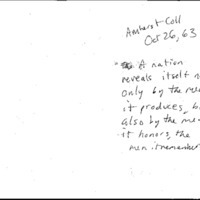 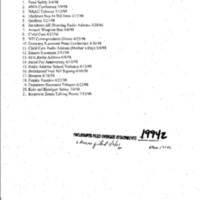 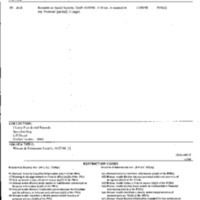 This collection contains the files of Jeff Shesol, Presidential Speechwriter. 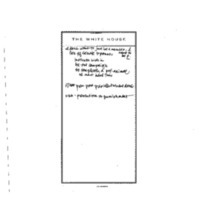 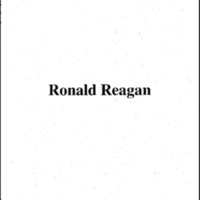 During his time at the White House, he worked on a wide range of topics. 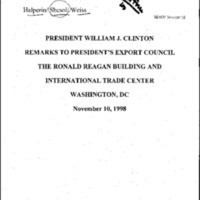 His speeches cover International issues such as: global trade, the World Trade Organization, and the International Monetary Fund. 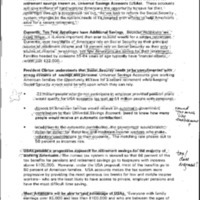 They also include domestic issues such as: school violence, the Columbine High School memorial, social security, and the minimum wage. 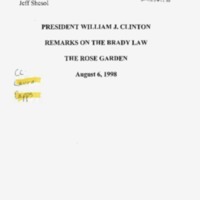 As Deputy Chief of Presidential Speechwriting, Shesol was lead writer on key presidential messages like the State of the Union and President Clinton’s Farewell Address. Senior Staff Sp. 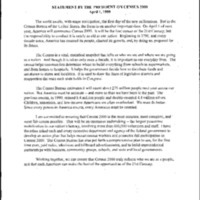 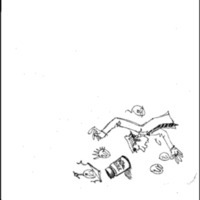 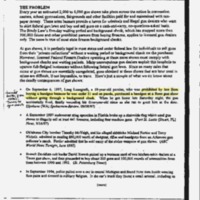 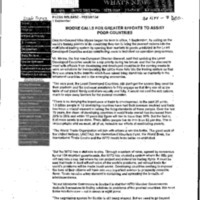 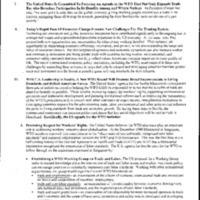 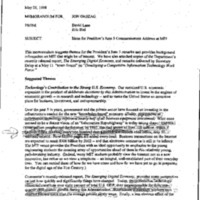 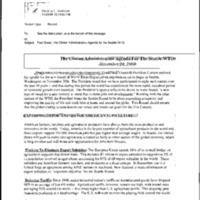 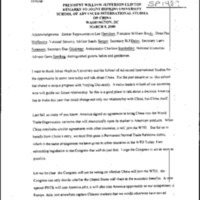 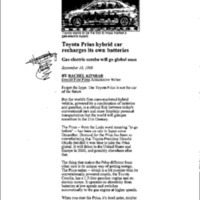 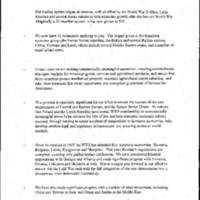 - Rahm: "Race to the Bottom"
WTO - Seattle Minsterial 12/1/99 U.S. 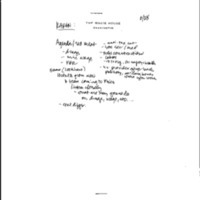  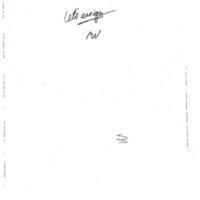 Agenda - W.T.O. 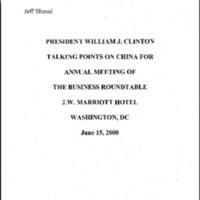 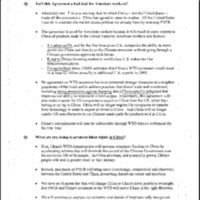 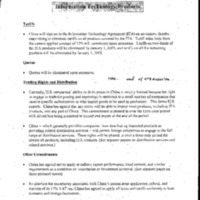 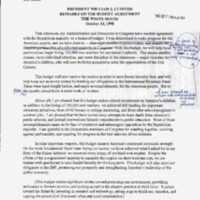 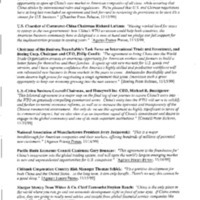 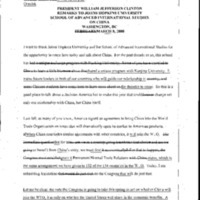 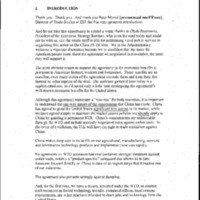 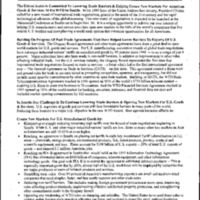 China PTNR [Permanent Normal Trade Relations] Hi-Tech-UUNet 3/1/00 - China/WTO [World Trade Organization] - Gen.
China PTNR [Permanent Normal Trade Relations] Hi-Tech-UUNet 3/1/00 - POTUS Interviews China/New Econ. 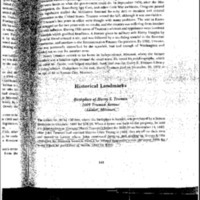 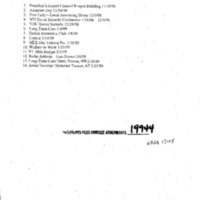 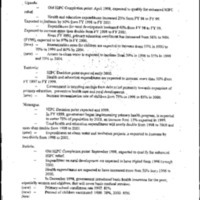 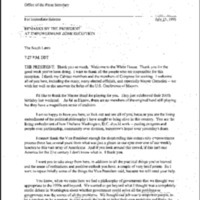 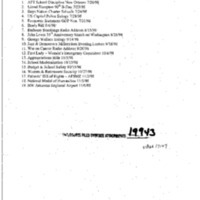 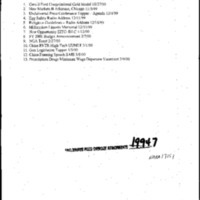 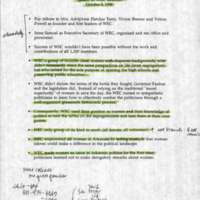 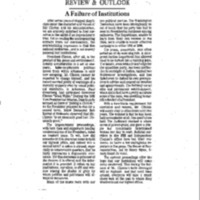 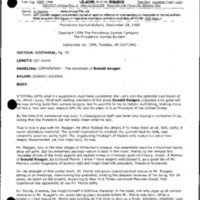 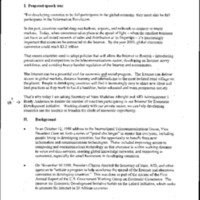 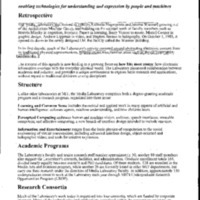 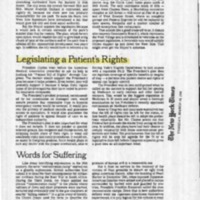 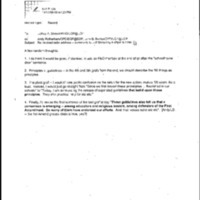 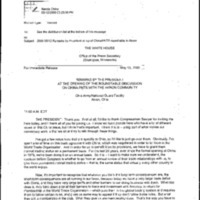 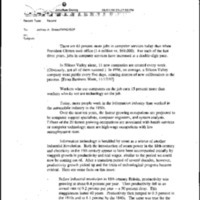 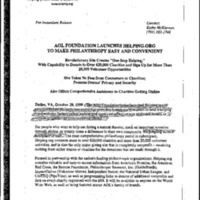 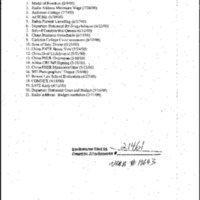 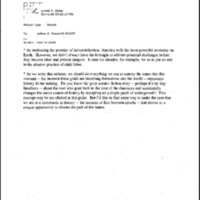 IMF [International Monetary Fund]/World Bank 9/29/99 - Corruption & Misc. 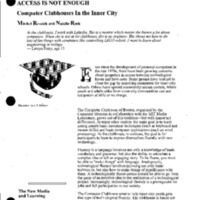 New Markets I Anaheim - NAF [National Academy Foundation] 7/8/99 - New Markets: What's in it for Business? 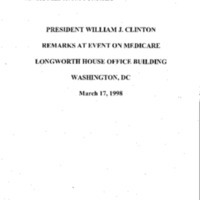 AMA [American Medical Association] Conf. 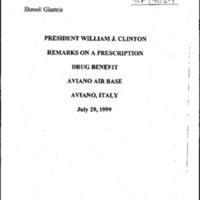 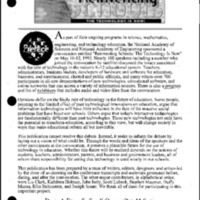 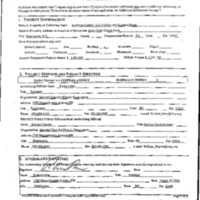 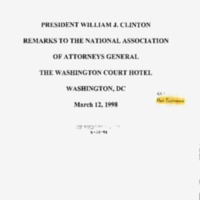 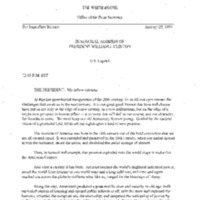 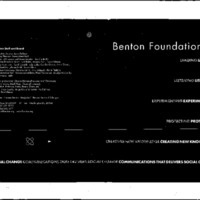 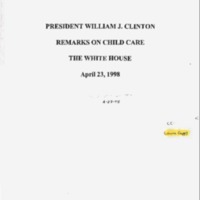 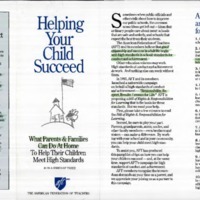 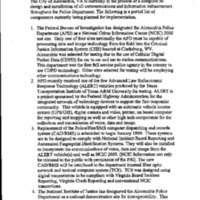 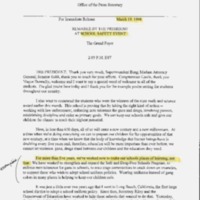 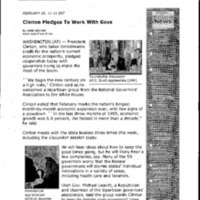 3/9/98 AMA - Gen.
Commencement 6/5/98 - Access: E-Rate, Etc.